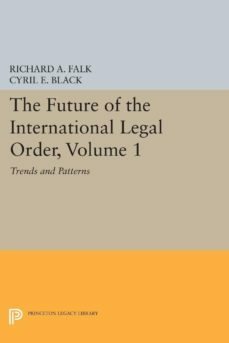 This is the first volume in a large-scale collaborative research project intended to focus the attention of international lawyers and social scientists on the near future of the international legal order. Sponsored by Princeton University with support from the Ford Foundation, the project seeks to stimulate research and provide an intellectual focus for the elucidation of the constructive role law can play in maintaining peace and improving welfare and dignity in the world. The contributors have been urged to engage in their respective areas of expertise in non-utopian forecasting that will enable law to contribute more creatively, by anticipating the range of feasible responses, to the solution of emerging problems in the international environment.Originally published in 1969.The Princeton Legacy Library uses the latest print-on-demand technology to again make available previously out-of-print books from the distinguished backlist of Princeton University Press. These paperback editions preserve the original texts of these important books while presenting them in durable paperback editions. The goal of the Princeton Legacy Library is to vastly increase access to the rich scholarly heritage found in the thousands of books published by Princeton University Press since its founding in 1905.